Rapid manufacturing industries that make frequent use of wire EDM machining include automotive, aerospace and electronics. Here,let's explore its merits. As we know, EDM machining as a popular auxiliary machining process, it’s widely used in aluminum parts machining( here, CNC aluminum) that can achieve complex parts in rapid manufacturing industry. Have you seen this video ? The one where someone connects two parts and they match so evenly that seem like a single component without any visible separation line. Do you wonder how such perfect precision was achieved? Well, I'll tell you, it was done with Electrical Discharge Machining (EDM Machining). This is a comparatively new unconventional high-speed machining process that has offered us so many new technological opportunities. The physical basis for EDM machining is, as you must have guessed, an electrical discharge. When two conductive parts are separated by a dielectric liquid and are under high voltage, the current builds up and discharges at a certain moment. Because of this discharge, a very small portion of the "plus" part is intensely heated up to the point where it evaporates. So, that's it. As you might have guessed, the blank is connected to the positive charge while the electrode is connected to the negative charge. Multiply the number of discharges a millionfold and you get EDM manufacturing. Sure, there are different materials and liquids, EDM parameters and nuances but the basic principle is as simple as it goes. There are usually two most commonly used ways EDM machining is implemented. 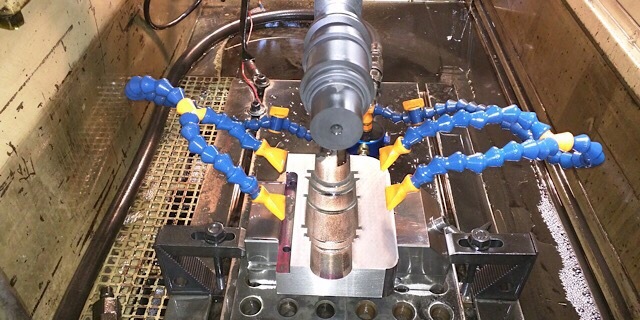 Sinking EDM uses the electrode machined previously to the required geometry. It plunges into the blank and makes a cavity or a specific hole. 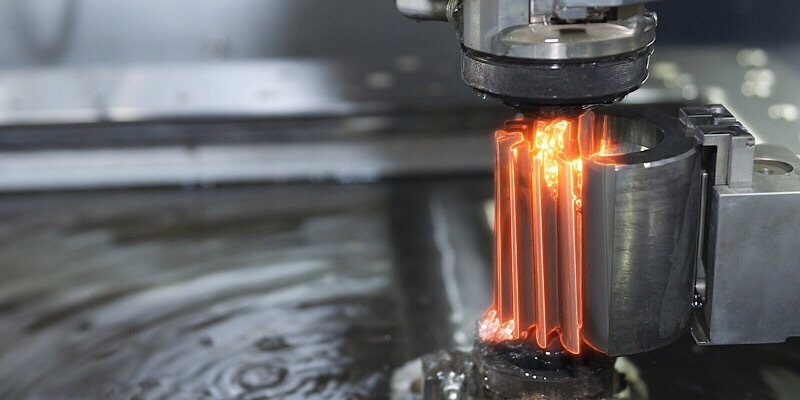 The other widespread method is the wire EDM process. It uses a metallic wire stretched between two nozzles, which are positioned above and under the blank. The wire is then moved along the desired trajectory and cuts out the desired form in the blank. Mind, that you'll need an entry point for this method. 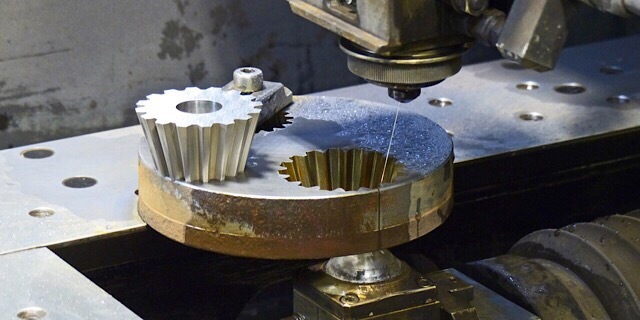 A considerably novel method is EDM milling. The process is ingeniously similar to conventional machining. there is a cylindrical revolving tool the follows the trajectory programmed into a CNC EDM machine. However, this tool doesn't have any sharp edges. It's just a cylinder connected to a high voltage and it evaporates metal as it goes along its path. Now that we know how the process is carried out, let's discuss, how such an unusual method of removing material actually benefits us? It turns out that this method is extremely useful with a lot of advantages. Let's list some of them and, based on those advantages, form the main industries EDM components can find the best use. The hardness and machinability of the part material are irrelevant. This is one of the strongest points for EDM machining as it becomes possible to process even the hardest and the most complex alloys. The best examples are the nickel and titanium alloys used in the aerospace industry. They are a big pain if you want to mill them but they are easily processed by EDM. The precision and surface quality is sublime. That's true because the final quality of the part depends on the electrode quality for sinking EDM and on the quality of the wire for wire cutting EDM. Both can be manufactured to be extremely fine since they are mostly made from soft but conductive materials. No thermal transformations in the material. The heat generated during the discharge is very pinpoint but has an extremely small area. It is cooled down in seconds by the dielectric liquid surrounding the parts so virtually no heat is generated during machining. So, no heat distortion or excessive carbon on the surface of the material. No leftover tensions. The material evaporates. It isn't cut off and neither is it stamped to the desired configuration. That means, no cutting force at all, which expels any form of inner tensions always present after conventional machining processes. Without those tensions, the part won't buckle after processing and its precision and quality are much higher. Great automation potential and pack machining. It is easy to program the wire with a CNC EDM machine. You can even make it turn and process the part at an angle. If you need a number of parts, you can weld the blanks on top of each other and cut them together with the wire. The advantages of EDM make it perfect for the aerospace industry. Why? Well, rockets and airplanes are famous for their high temperatures and complex parts. Extreme precision and outstanding surface finish are required of the aerospace parts as well. So, what could you manufacture with EDM? 1. First and foremost, a compressor wheel. Yes, the one, all the CNC milling exhibitions love to manufacture. It is a complex part with thin-walled features and you can do it either with wire EDM or with sink EDM from virtually any material. 2. 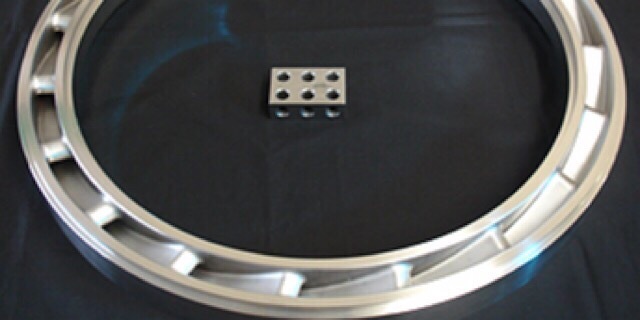 Another important feature is the turbine rotor disc. It has those fir tree holes, the blades go in. Their geometry is very complex and is otherwise manufactured with broaching, an expensive method that is viable only for a large number of parts. 3. 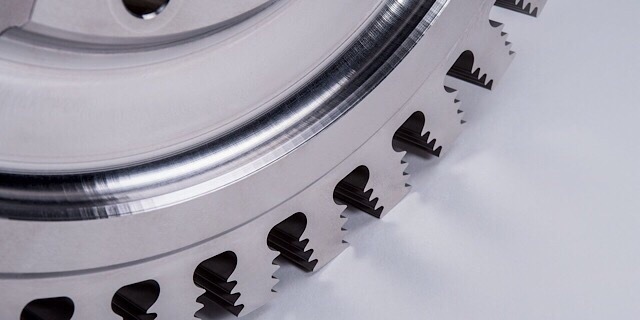 The stator parts of the gas turbine engines include complex rings with specific passage channels for the gas and the fuel. Those are often made of complex nickel alloys and are hard to mill. 4. 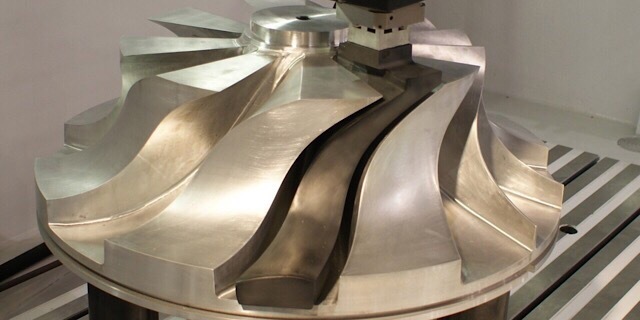 Turbine blades can be fashioned for EDM machining as well and it will save a lot of time and effort for the manufacturers since even one pass of EDM yields a high-quality surface finish and precision. Even if the airfoil of the blade cannot be manufactured by the EDM wire or sinking machining, its root can be in 90% of the cases. The beauty of EDM manufacturing lies in its flexibility. The sinking EDM machine cost is not as dependent upon the batch size as some major manufacturing processes are and same can be said for the wire EDM machine cost and wire EDM tooling. That is why CNC machine companies often purchase CNC EDM machine tools and offer other businesses to take up the manufacturing of their complex parts. Airplane manufacturers often employ such companies for prototyping services and custom aerospace parts. At WayKen, our experienced team can use CNC-operated( CNC aluminum & CNC prototyping), state-of-the-art EDM technology and practical CAD/CAM programming, to help our customers deliver finished aerospace components and related aluminum parts, no matter how complex the design. Also, we are working harder to improve our engineering assistance to help you perfect your design’s fit, form, and function and to improve manufacturing efficiency, finally producing precision aerospace components.